1988 portrait of Julia Child by Elsa Dorfman. Have you self-identified as a “foodie”, wowed close friends with Thomas Keller-like skills in the kitchen, or exhibited prowess as a budding gastronome? Maybe you’re just interested in learning more about the history of American food. If you said yes to any of the above, The New School is offering a new course sure to tempt your palate: “Innovators of American Cuisine: A History of the Culinary Arts in the U.S.” The best part? It’s (mostly) free. This spring, the university will offer its first MOOC (Massive Open Online Course), led by Food Studies Professor Andrew Smith. “Innovators of American Cuisine” will explore the lives and legacies of 10 culinary luminaries over the course of 10 units, and features experts, scholars, and individuals who knew or collaborated with them. 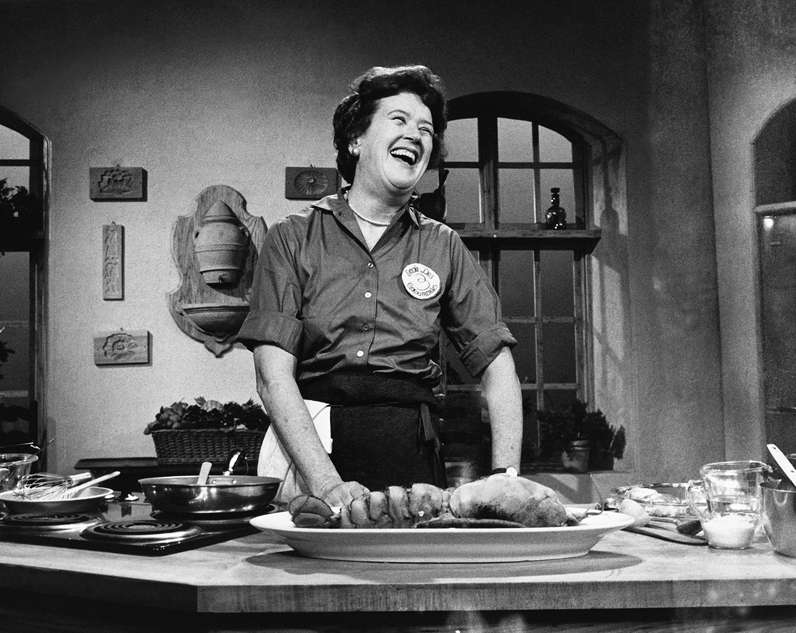 Luminaires include Julia Child, James Beard, M.F.K. Fisher, and Edna Lewis. Based on The New School’s popular public program series Culinary Luminaries, the course will examine the fascinating evolution of America’s relationship with food, particularly the radical changes in culinary practices and tastes since the 1950s. Students can take the course for free or gain access to additional content and interactivity for $50. In addition to Smith, who serves as the general editor for the Edible Series and has edited or written more than 20 books, guest lecturers for the course include Ariane Batterberry, co-founder of Food & Wine magazine; Mitchell Davis, vice president of the James Beard Foundation; and William Grimes, New York Times columnist. Though not a recent phenomenon, (distance learning courses have been around for decades) the MOOC was popularized by Stanford University in 2011, and has since revolutionized thinking about higher education both in the United States and abroad. Learn more and enroll for the class by clicking here.